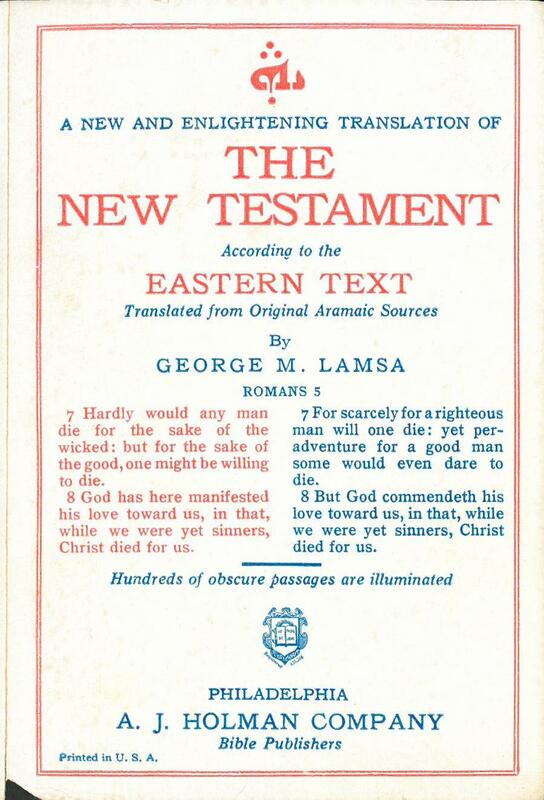 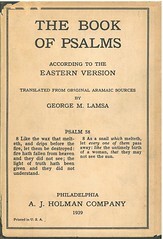 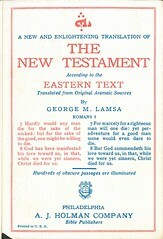 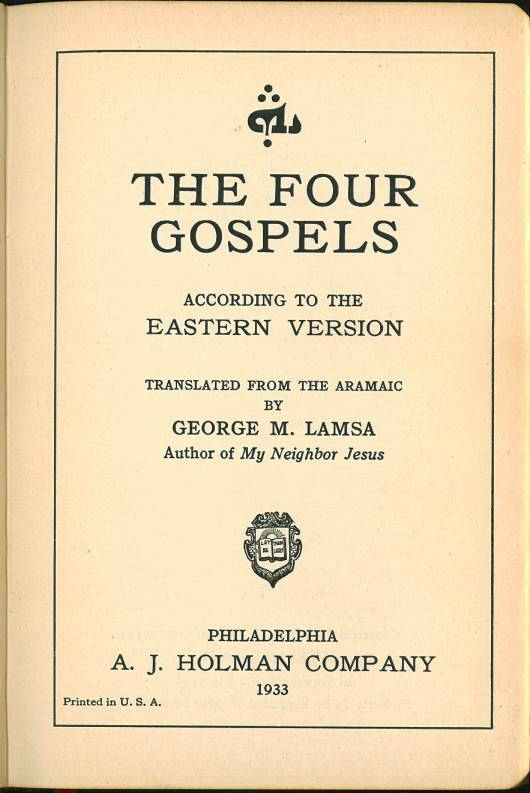 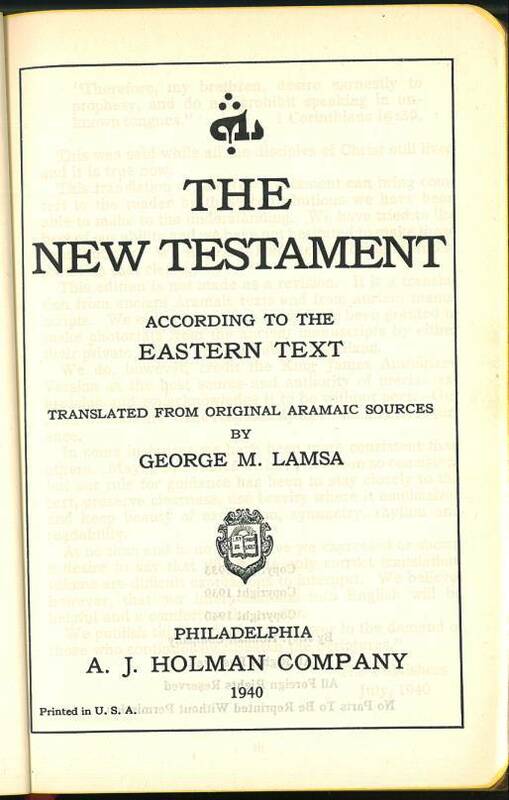 Click here for sample verses from the translation by George M. Lamsa. 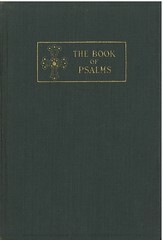 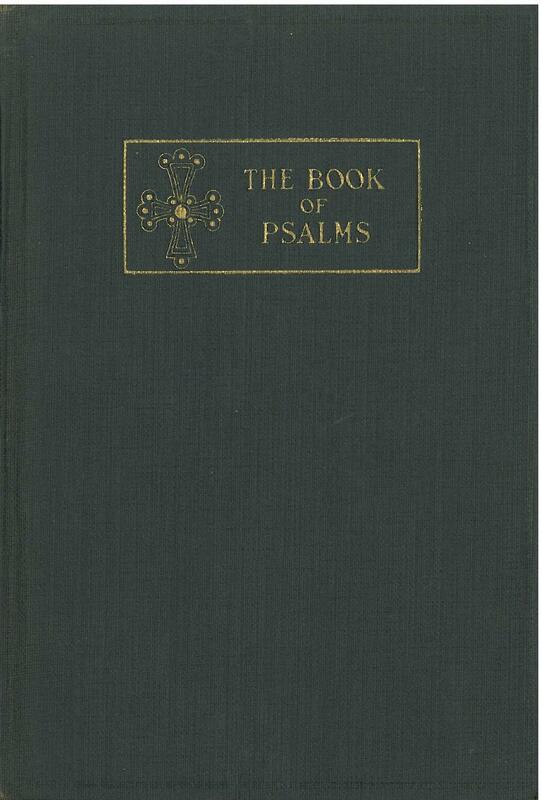 References: Chamberlin 332-10; Herbert see 2242; Hills 2377. 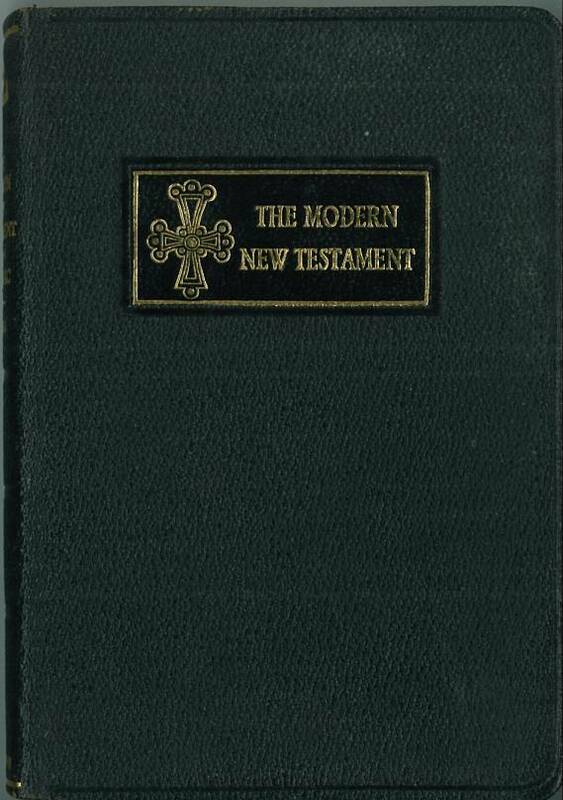 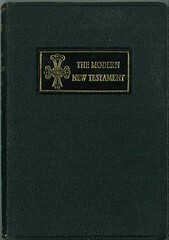 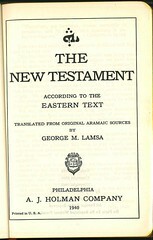 Title: The New Testament According to the Eastern Text. 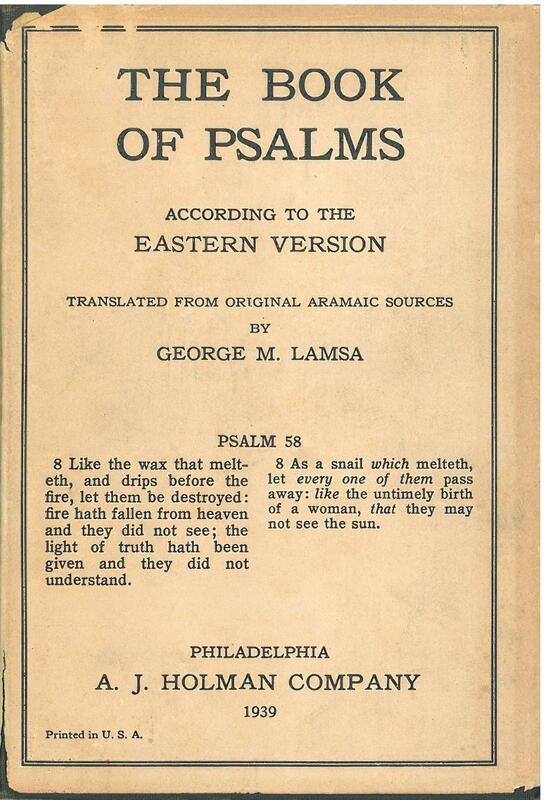 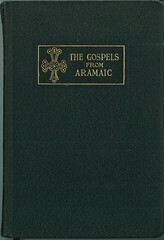 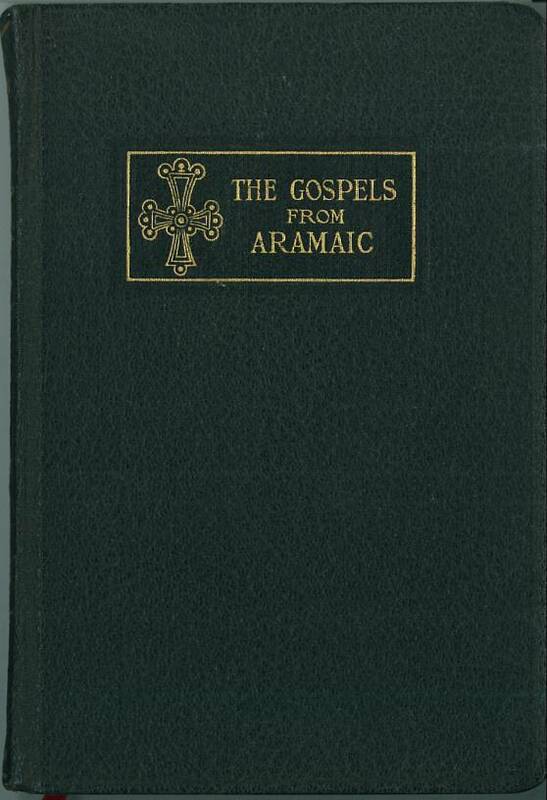 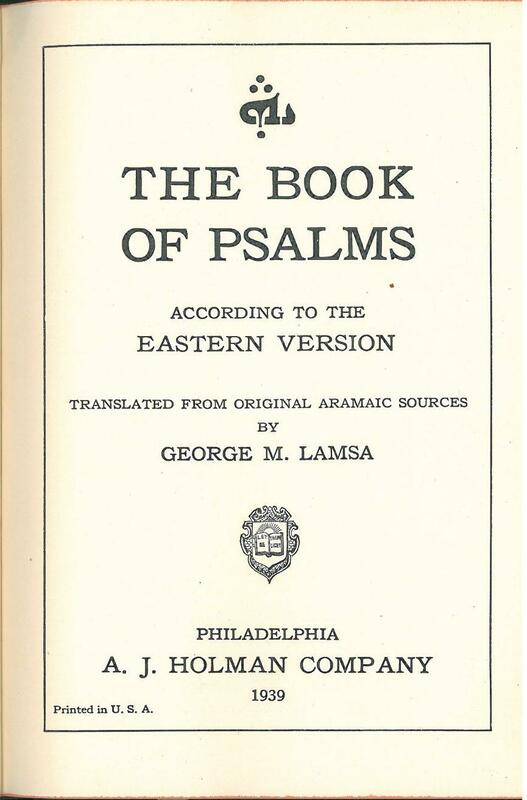 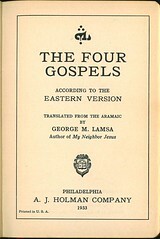 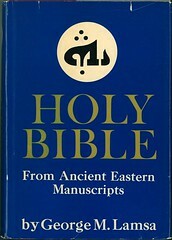 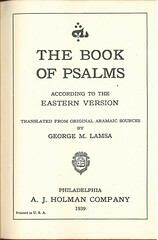 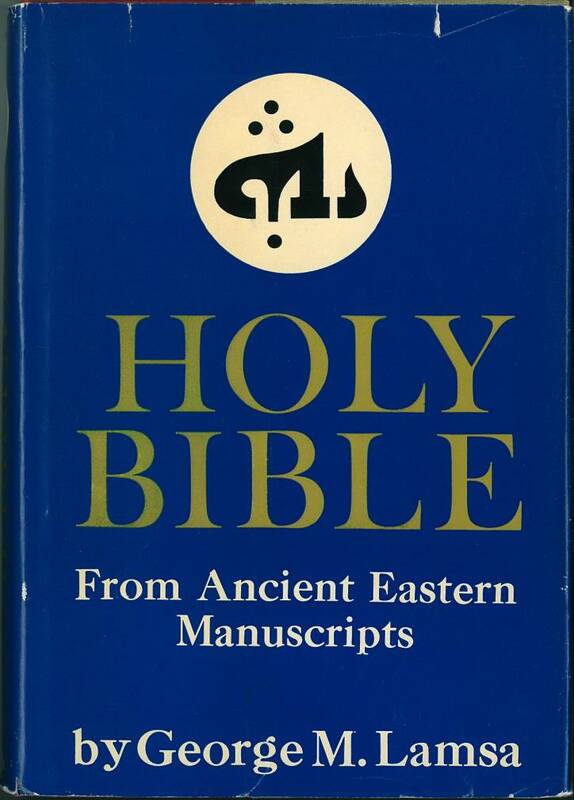 Translated from Original Aramaic Sources by George M. Lamsa. 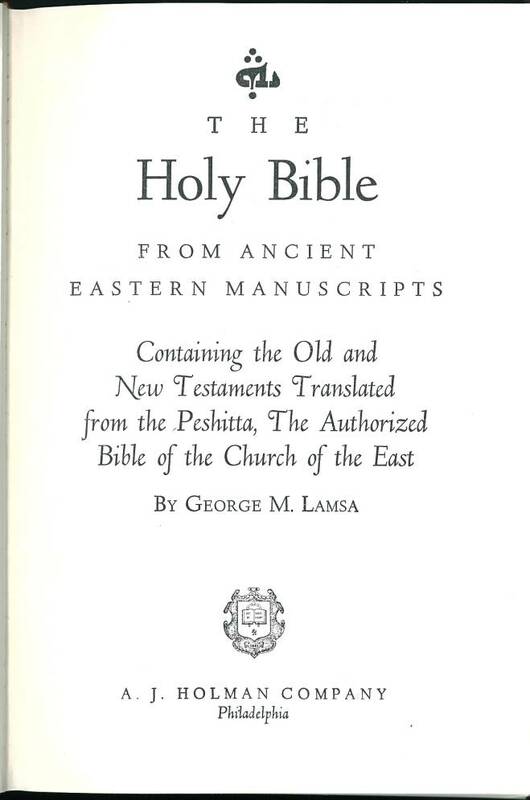 References: Chamberlin 578-2; Herbert 2242; Hills 2389; Taliaferro-BVE CN00021, Taliaferro-EELBV 7955.100. 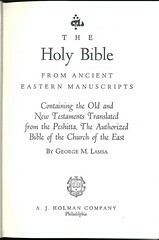 References: Chamberlin 43-3; Herbert 2242, 2320; Hills 2340, 2568; Taliaferro-BVE CN00021, Taliaferro-EELBV 7955.110.